REDUCED PRICED TO SELL! INSTANT EQUITY! Welcome home! 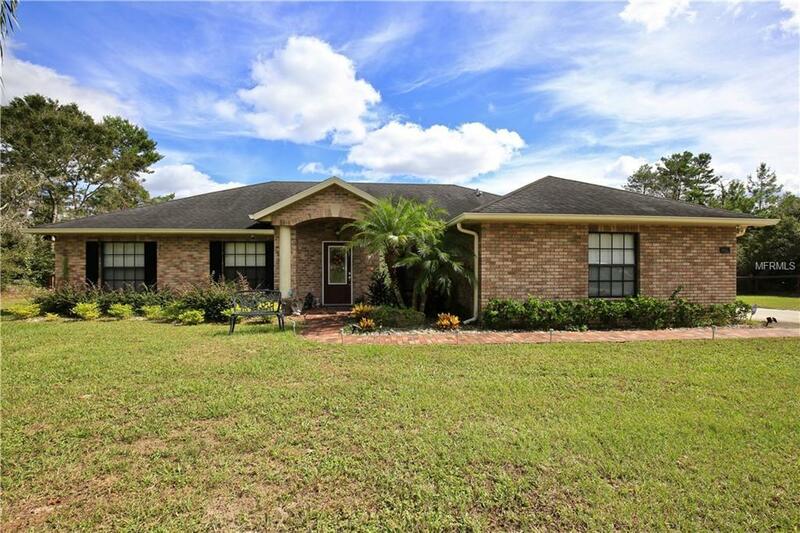 This private gated estate sits on a corner lot of nearly 2 acres with a host of updates, including a solid roof, New A/C system, New electric panels and wiring, New water heater and New pool pump. The brick exterior boasts curb appeal with a side entry, two car garage, beautiful landscaping and pavers. Youll love entertaining by the luxurious pool, hot tub with a waterfall feature and a captivating conservation view. Spend your Sundays barbecuing on the elevated patio with pavers, relaxing under the shade of the covered lanai, taking a dip in the pool or riding your ATV on the huge 1.80 acre lot. Inside youll find ceramic tile floors, tall vaulted ceilings, French doors and an abundance of natural light. The gourmet kitchen houses a breakfast nook that overlooks the pool, granite countertops, pantry space, wood cabinets, high end stainless steel appliances, pendant lighting and a bar top. The elegant home office features wood laminate and a French door entry. Retreat to the spacious master suite with a walk in closet, wood laminate flooring, high ceilings, access to the back porch, dual vanities with granite countertops, and a luxurious standing glass shower with a small bench, niches, and three shower heads. Youll be just minutes away from shopping and restaurants, I4 and 17 92, Lake Jesup and fun weekends at Wekiva Springs. To see this beautiful home, call today and schedule a showing! Listing provided courtesy of Marcillo Real Estate Llc.